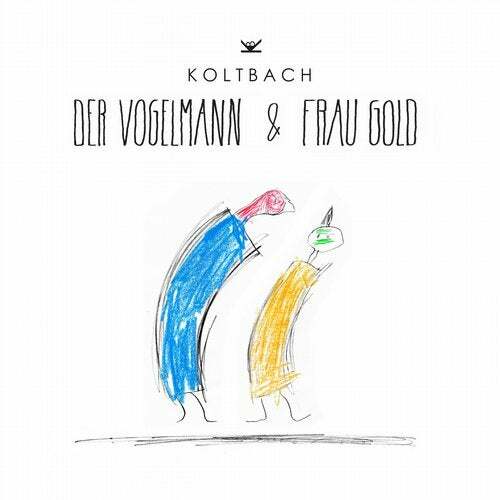 The translation of Koltbach's single-release title means „The Birdman & Ms. Gold" and is mainly inspired by a drawn picture by his six years old son and a song called "Take Me Coco" from 1991 by Zap Mama. The bold and colourful strokes, the minimalistic style, the simplicity and the playful scene as you can see on the cover, are aspects you may also feel while listening to Koltbach's new music release. Just like these two different characters on the cover seem to dance closely with each other without touching, the two tracks of the new Koltbach single just seem to do the same. Somehow a little bit bizarre but lovable and deep at the same time. -Maybe you take them out next time you are in the mood to dance like birdmen (and women) would do.